Increasingly, our freedom and autonomy are threatened by those who seek to monitor and control every aspect of our daily lives. George Orwell’s “Big Brother” from the novel 1984 is a pale threat in comparison to the dystopian reality our leaders which have created for us since that book was published more than six decades ago. Orwell clearly foresaw a future in which the state watches over and micromanages the lives of its subjects, but even he could scarcely have imagined the degree of surveillance and control that technology would make possible. I also believe that he hoped we would avoid allowing this to happen — it seems clear that the book was designed as a warning, as were many others that were published in the 20th century. Bradbury’s Fahrenheit 451 and Huxley’s Brave New World are just two famous examples that come to mind. One of the problems is that our freedoms are taken away incrementally, in small units and in the name of “national security” or “technological progress” — we don’t see the cumulative effect until it’s too late to do anything about it. 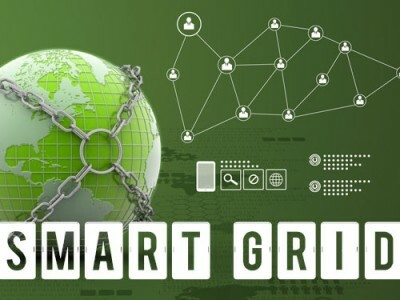 The latest encroachment on our privacy and daily actions comes in the form of what is being called “smart grid” technology. UK utility company Northern Powergrid Holdings Co. (which is owned by mega-billionaire Warren Buffett) is cooperating with Siemens AG towards a planned test of a smart grid which will be able, according to Bloomberg.com, “to control when consumer appliances will be used in the home. It seems clear that the term “Customer-Led Network Revolution” is designed to give the impression that consumers are somehow behind the implementation of this technology, which is highly unlikely indeed. The truth is that the smart grid will not only allow the providers of electricity control over consumer usage but will also provide a detailed picture of the customer’s energy consumption habits. This may seem innocuous enough on the surface, but it’s not hard to imagine this ability being used to invade privacy and keep an even closer watch over the daily activities of citizens. Soon, the authorities may be examining your behavior at home in detail: “What’s he doing in his workshop at 3am? Could it be criminal activity?”, etc. It’s interesting how the Warren Buffetts of this world seem so intent on helping us manage our lives. It seems very considerate, but I often wonder what the real purpose is. And, as Melissa Melton of The Daily Sheeple points out, why is it that the powers that be are so concerned with helping us save money on electricity, when they actively discourage any efforts towards independence of the grid on our parts? In some states in the U.S. (including Florida and Texas), it is virtually illegal to live off the grid. There have been several cases where those who have managed to live independently off the power grid have been treated as criminals. We once lived in a society where self-reliance and independence were considered positive qualities. It seems that nowadays these traits are deemed not only as out of fashion, but as direct threats to the central authority.